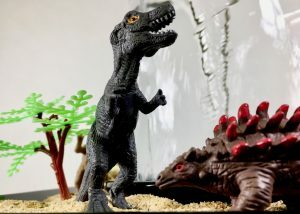 We used a dinosaur play set from the discount store to make a fun, inexpensive, Jurassic scene. Decorations can be found almost anywhere! 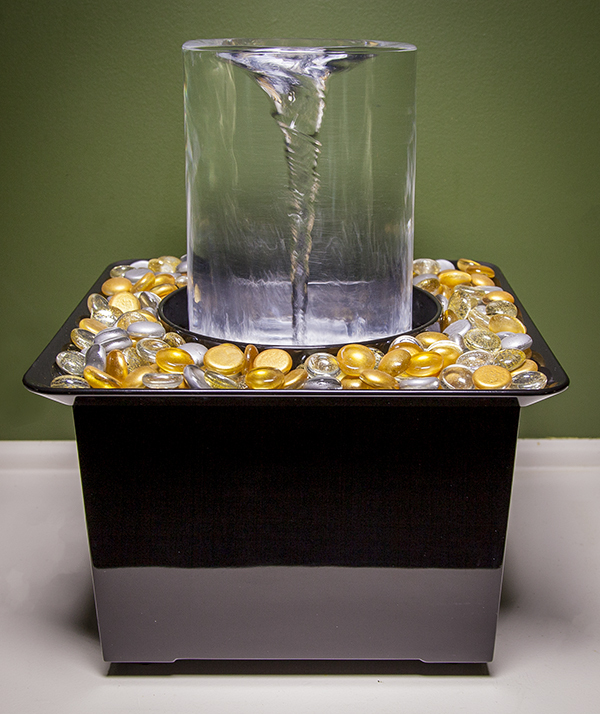 With so many possibilities to decorate your Quox Creek® Vortex Fountain, you’ll want to find great supplies and still save money. Here are some ideas to get you started! Grocery Store. Now and then, check the seasonal aisle for trinkets, toys, and baubles on sale. You may find toothpick flags, cake toppers and baking figurines, small holiday decorations, or wrapped candies. You’re going to be at the grocery store anyway, take 30 seconds to swing down an extra aisle; you might be surprised by the decorating opportunities that present themselves! Drug Store. Most drug stores have a seasonal aisle with trinkets that come and go depending on the time of year. Small toys and garlands are inexpensive especially right after the holiday when they’re on super sale. Stroll through and see what tickles your creative fancy. Deep-Discount Stores. When you can pick up an entire bag of marbles for $1, you’ve hit the jackpot! Marbles, small toys, figurines, seasonal battery-operated lights, garlands, it’s all there. In our travels, we’ve even found decorative sand and pebbles for less than a dollar. Big Lots. Dollar General. The Dollar Tree. Hobby Stores. These tend to be a little more expensive but the selection is usually pretty awesome. If you time it right, you can grab accessories while they’re on sale or use a coupon to keep the cost down. Have a model train store close by? The N- and HO-gauge sizes are perfect for building scenes in your fountain’s decorative tray. You can find inexpensive eggs and Easter grass at the drug store or dollar store. Garage Sales. These take a lot more time but the payoff can be worth it! 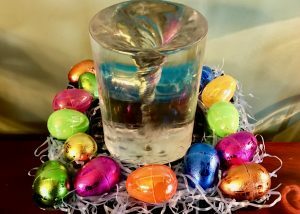 Use those baubles and trinkets someone is getting rid of to add a new dimension to your Vortex Fountain. A few cents may be all it takes to load up on new decorating supplies! Fast Food Joints. All those toys you get with your kids’ Happy Meals can be collected and displayed in the Vortex Fountain’s decorative tray. Use some sand as a base then pose those action figures to create a fun diorama! Your Back Yard. Stones from the back yard can be an easy, inexpensive way to decorate your fountain. Make sure to wash them thoroughly first! 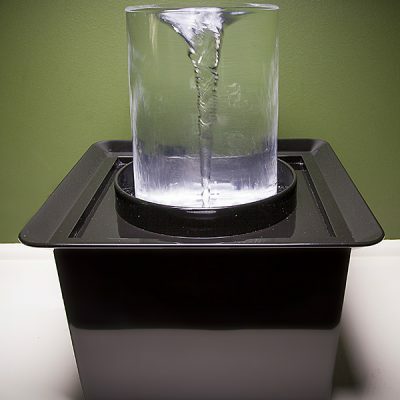 Take a cutting from a favorite plant and use it to start new greenery in your fountain terrarium. The ideas crop up everywhere. Example: we saw mini cacti on sale the other day at one of the big-box hardware stores (Home Depot). Put some sand in the decorative tray and add several of the tiny cacti. It costs only a few dollars and you’ll instantly have a fun, desert-themed terrarium! Where are you finding your decorating supplies? Share your ideas and photos on our Facebook page!